In short, small businesses wishing to take advantage of the online marketing situation at present need to be aware of the following three developments that have been reshaping the world of online marketing for small businesses over the course of the past few years. These three developments give an indication of the ways in which small business online marketing is likely to continue to develop in the near future too. If you have a local business, like a restaurant or a hair salon, and you are thinking that most small businesses are seeing things as you do… that local businesses should keep advertising locally; that printed flyers or discounts advertised in the shop window are enough advertising for a local business; that local businesses do not advertise online… if these are your thoughts and you think that other businesses in your local area are thinking this too, then you are wrong. Local businesses WANT to market themselves online. Because they recognize the value in doing so. Everyone uses the Internet nowadays. Well, perhaps not everyone, but anyone who is likely to be a customer that you would want to attract uses the Internet nowadays, even when they are looking for a local business in order to buy something or enjoy a good meal. It is the most efficient way of searching for something and comparing different services offered by different locals. For this reason you must begin to concentrate on building up your online marketing profile, even if you cannot afford to do so through more expensive online marketing mediums, such as PPC for instance. Online marketing for local businesses is becoming more and more important and necessary by the day because the amount of review sites and third party listings is growing and the sizes of those sites also. If you are not listed on these sites or talked about by these reviewers then other local businesses are going to be sweeping the market out from underneath your feet without very much effort or expense on their part at all. The Internet is heaving at the seams with comments from third parties about various types of businesses; discussion forums where people share information and first hand experience with others for free, etc. If your business is not listed on the Internet then the chances are that you are not going to feature in any of these discussions; discussions which really do amount to free advertising on the whole (if the comments about you are positive ones, naturally). Also, certain businesses, like restaurants for example, need reviews in order to encourage more customers to come to their locals. The best, cheapest and fastest way of doing this today is via the Internet. Therefore, even if PPC Management through Google AdWords is a form of advertising that is not for you and your budget, being on the Internet itself always has to form a part of your marketing plan. If not, your business, no matter how local, doesn’t stand very much of a chance. 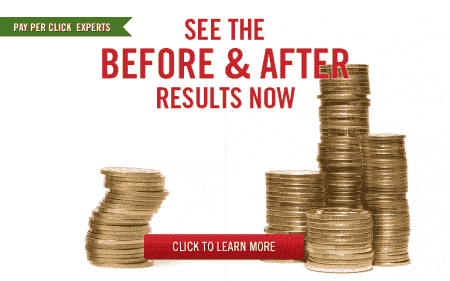 PPC Advertising too expensive? Online Google Advertisements way out of your league? Well, the happy customer who wants to write a review for free is not too expensive for you and therefore you need to invest in the Internet, in online marketing and in the willing customer from today and onwards. You need a website, you need a place where people can write comments, you need to have people writing about how fantastic your restaurant service is, or how wonderful your flower arrangements for weddings are, or how cheap it is for parents to have their child’s hair cut in your salon, on blogs or other websites or on review sites. This content is written by people with first hand experience, which makes it highly compelling, and it is written by them and for you for free. The trick is to make sure that people are only ever going to write good things about your business and not bad. Make sure that you deliver a good service and there shouldn’t be any need to worry. How is the face of online marketing for small businesses changing? It is growing and at an incredible rate at that. Don’t be left by the wayside. Become an online marketing guru and contact Webrageous Studios for more advice if needs be.